A waist cincher (sometimes referred to as a „Waspie“) is a belt worn around the waist to make the wearer’s waist physically smaller, or to create the illusion of being smaller. Short corsets have been used by the end of 19th century as light corsets for sleeping or light corsets worn next to the skin or over clothing. There are a number of modern fashions that resemble the styles of the past. From wide elastic belts to actual modern corset styles or so-called „Spanish belts“. 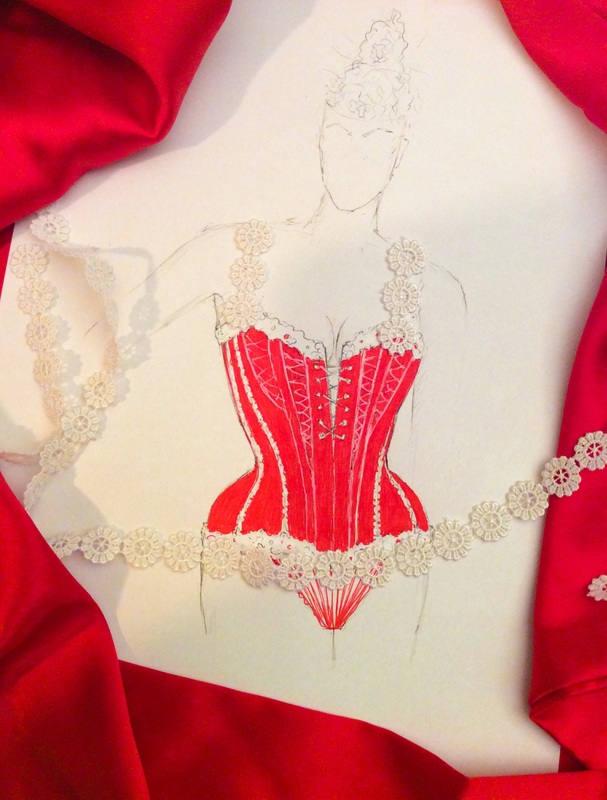 Our „Tango waist cincher“ is made of heavy silk satin duchesse with particular attention to the perfect finish. 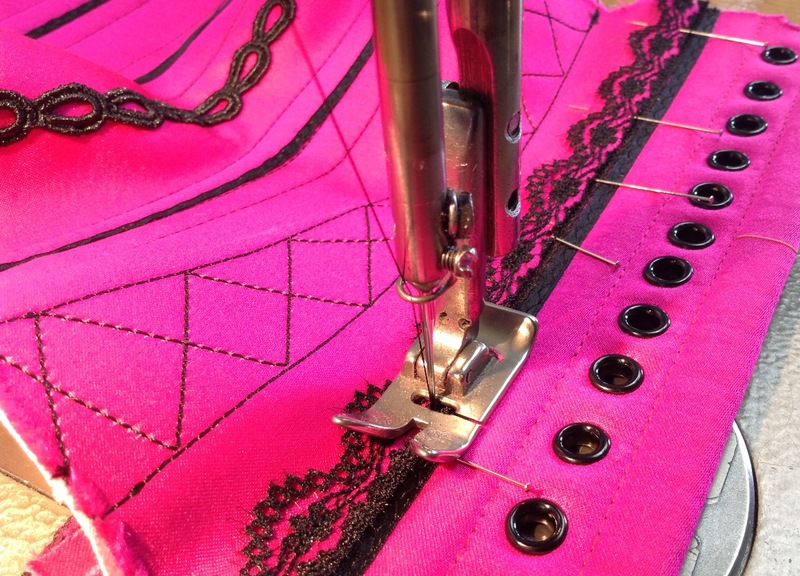 All the precious embellishments are placed using particular technique so that they emphasize the form of the corset. There are more decorations in the back as the woman in tango is mostly seen from this side. The St.Gall lace on the edge line has been attached entirely in hand work.